Mitsubishi Motors Philippines Corporation (MMPC) understands the importance of safety in places such as schools and barangays where various day-to-day activities take place. Such places with large crowd should always have safety precautions and first-aid kits in order to provide a safe environment for the people within the premises. 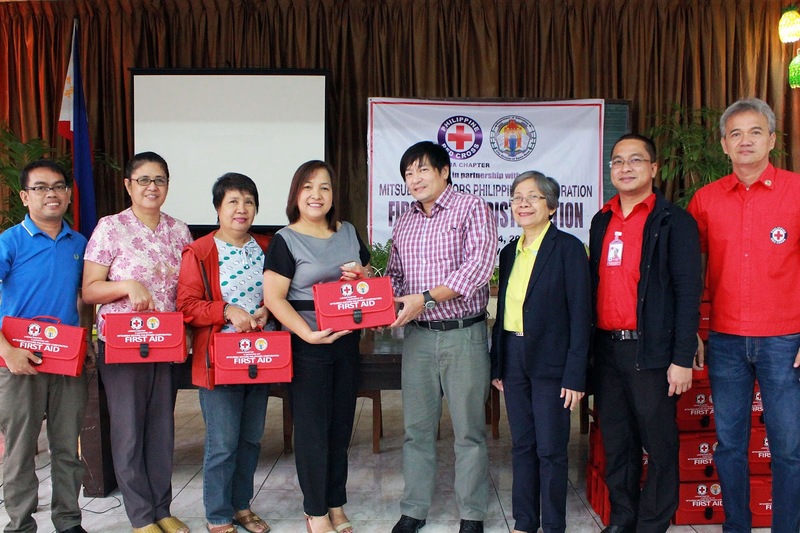 As proponent of health and safety practices, MMPC, in partnership with the Philippine Red Cross – Laguna Chapter, decided to donate first aid kits to two hundred thirty public and private schools and barangays of Sta. Rosa, Laguna. Last November 4, 2016, MMPC, as represented by its Vice President for Corporate Management Division, Mr. Renato S. Lampano, in the Philippine Red Cross–Laguna Chapter’s Administrator, Frank Gray Sorromero, along with the Department of Education’s OIC-Schools Division Superintendent for the City of Santa Rosa, Helen A. Ramos, distributed first aid kits to twenty six public schools and ninety private schools in the City of Santa Rosa at the Santa Rosa Elementary School Central II. The remaining one hundred fourteen first aid kits are to be distributed to barangays of Sta. Rosa City on another date. MMPC has been certified for Occupational Health and Safety Assessment Series (OHSAS) 18001 which is an international occupational health and safety management system specification which aims to eliminate or minimize operational risks and hazards. With safety as one of its top advocacies, MMPC makes sure that its safety practices are being extended to other institutions.